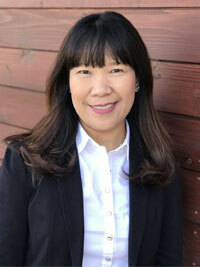 Hi, my name is Sue and I have been working for Dr. Hahn for 12 years. I work at the front desk and enjoy meeting all of our patients. I like to garden and work on home projects in my spare time. Martha: I have been working for Dr. Glenn Hahn on and off since 1973; I was his first assistant. At present, I have been back in the office for the last 13 years. I work the front desk with scheduling and billing and I am also the backup assistant. My name is Christy. I am in my tenth year practicing as a dental hygienist. I have spent the last 6.5 years working for Dr. Glenn Hahn as his full-time hygienist. When I'm not working at the office I am home chasing my three boys. My free time is spent walking outdoors with my boys and by myself in the winter months. I spend a lot of my time with my family socializing, boating, playing games, and just enjoying their company. My passion in life is traveling, especially in the Carribean Islands. I hope to travel to many more places in the future. My name is Sue. I have been a Register Dental Hygienist for 27 years. I have worked for Dr. Hahn for 11 1/2 years. I am currently working 3 days a week. When I am not at work I enjoy spending time with my husband, children, and two granddaughters. My hobbies are traveling, gardening, reading, walking, scrapbooking, and community service volunteering. My name is Kellie. I've been employed by Dr. Glenn Hahn for 16 years as a Sterilization Analyst. In my spare time, I enjoy hunting, preferably with a bow. Hi, my name is Terry and I have worked as a dental assistant since 1976, 31 of those years for Dr. Hahn and a few years in California and Grand Rapids. It has been a really wonderful career and I have been truly blessed to work with Dr. Hahn and his amazing staff. A good part of this story is that I started working with Dr. Glenn when he and his wife were expecting Dr. Kevin and now I have the privilege of occasionally working with Dr. Kevin. My name is Tran. I was born in Viet Nam and lived there until the age of 21. I graduated from Davenport University business school. I have been a part of Applewood Dental practice since 2008. I and my husband have two beautiful children, a boy and a girl. 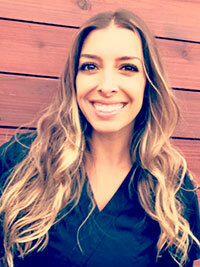 I always feel lucky to have a happy family, and enjoy my work with my wonderful coworkers at Applewood Dental. I also enjoy aerobics and spending time with friends and family. 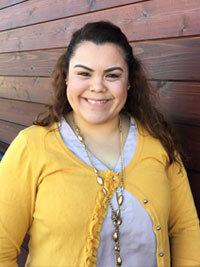 I’m Dafne, I am part of the front office here at Applewood Dental. I have always enjoyed the dental profession and am excited to be a part of this amazing team. I am fluent in Spanish and English, so I will be able to help interpret when needed. I have been married 6 years and we have a 3 year old daughter. In my spare time, I enjoy spending time with my family and friends, playing with my daughter, and cooking with my husband. I'm Laura. I've been a hygienist for almost fifteen years, where I can help, heal, and encourage whoever walks through our doors to achieve a healthy smile. I graduated two years ahead in high school. Along with my Associates in Dental Hygiene, I received my bachelor's degree in Applied Science and Health Management. I love my job! I enjoy being part of the Applewood team and our fun, hardworking staff. I keep a very active lifestyle, singing, dancing, cooking, and bringing friends and my very large family together to laugh.